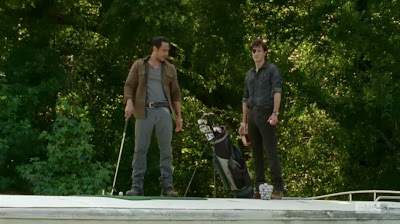 In the latest episode of the Walking Dead, "Dead Weight", we're introduced to two new characters Pete and Mitch who are assistants to Martinez. Mitch played by Kirk Acevedo, whom you may be familiar with from HBO's Oz, Law & Order and Fringe looks to be around for another episode. Pete's character is hanging around as well, but not quite as prestigious a position. 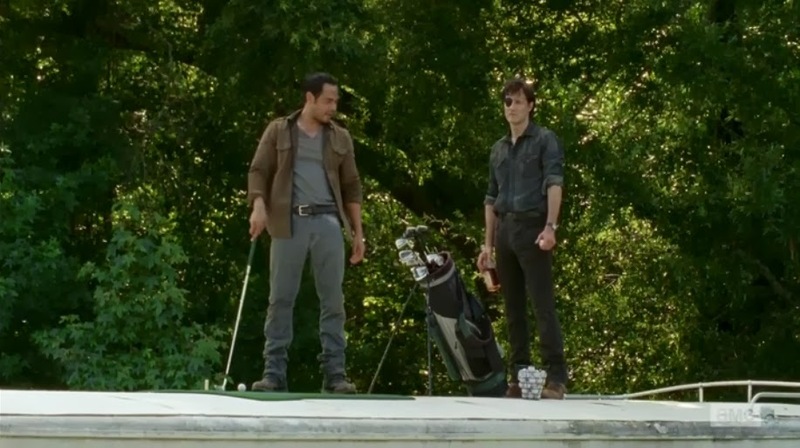 This episode like the previous one is all about the Governor or Brian as he is known now. 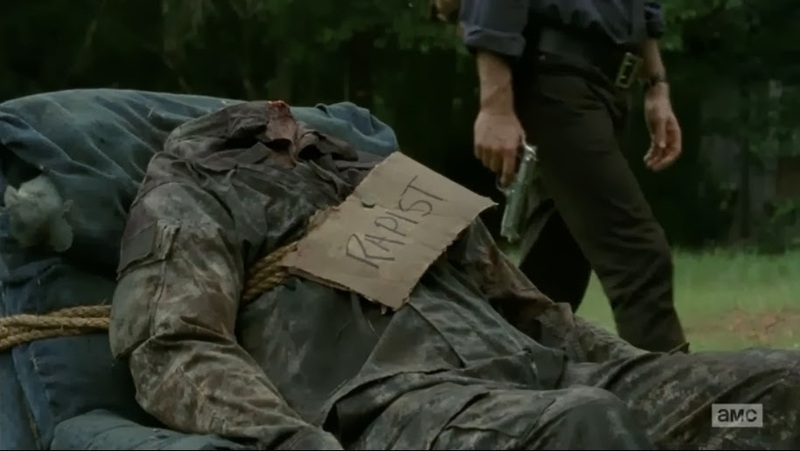 Now quite as intimidating as The Governor, but Brian shows his true colors that were lacking in last week's episode. Still showing that he's not quite all together there, his violent episodes come as a result of Martinez offering to share "the crown" with him. The writer does a great job of putting together some tense moments, and they pay off well. As with the entire series, the writer reminds us that it's often the surviving humans that we should be worried about more so than the walkers. For example the littered headless bodies each with a sign of their crimes. The episode ends where "Internment" left off and we're ready for war the next episode. 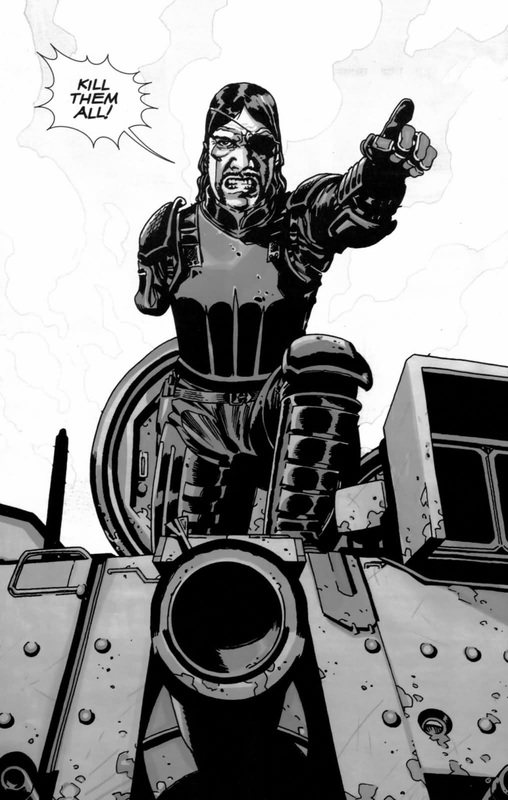 By the way did I mention the Governor now has a freaking tank!? This of course coincides with the comic books, and the Governor/Prison story arc may be coming close to an end in this week's mid season finale. Who's your guess as far as who will bite the dust this week?